I’m back with my May Favourites, and boy do I have some good ones this month. I realise we’re almost halfway through June already, but I couldn’t miss out on a favourites post! 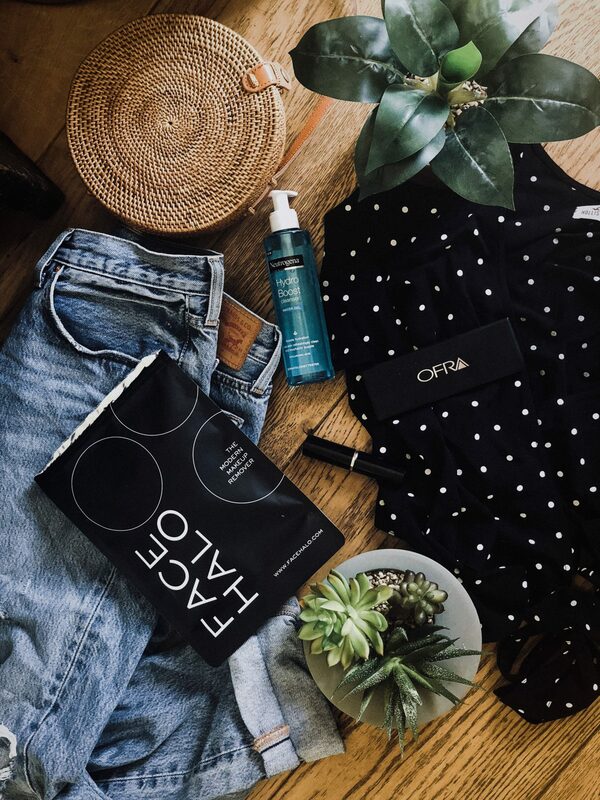 I actually won a giveaway in May from the lovely Emma and she was kind enough to give me a £30 Beauty Bay voucher, so I grabbed myself a couple of treats with that – which, of course, have made it into my favourites! I have quite a few favourites this month, so let’s just get into it. I’ve been using my face halo for a couple of months now and I totally get the hype. This removes all my makeup (except mascara – but that’s waterproof so I’m not surprised) with only water – it’s insane! You get three in a pack for £18, and they have up to 200 uses so you definitely get your money’s worth! 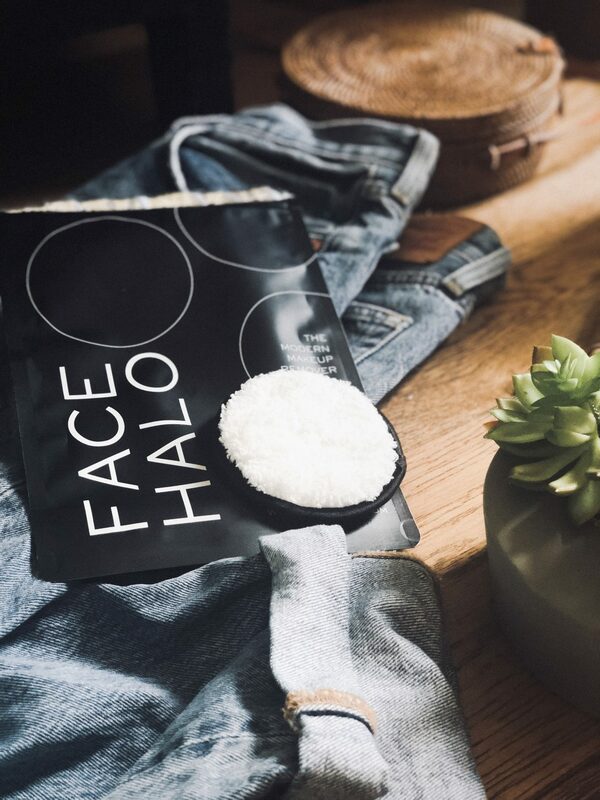 They also feel surprisingly soft and gentle but really do a great job of cleaning your face – they’re a great, eco-friendly alternative to makeup wipes. I also find them super easy to clean, I just use warm water and a bar of soap and it completely cleans it. You can also throw them in the washing machine for a deep clean. I’ve absolutely been loving these, they make my skincare routine a lot faster but still get the job done – I can’t recommend them enough! One of the things I bought with my Beauty Bay gift card was this contour stick. I’ve been searching for a good contour stick for a while now because they’re so much faster and easier than powder, and this is the best I’ve tried. It’s cool toned without being muddy, so it really looks like a natural shadow. It also blends out incredibly easily and isn’t too dry or too creamy – it’s totally perfect. 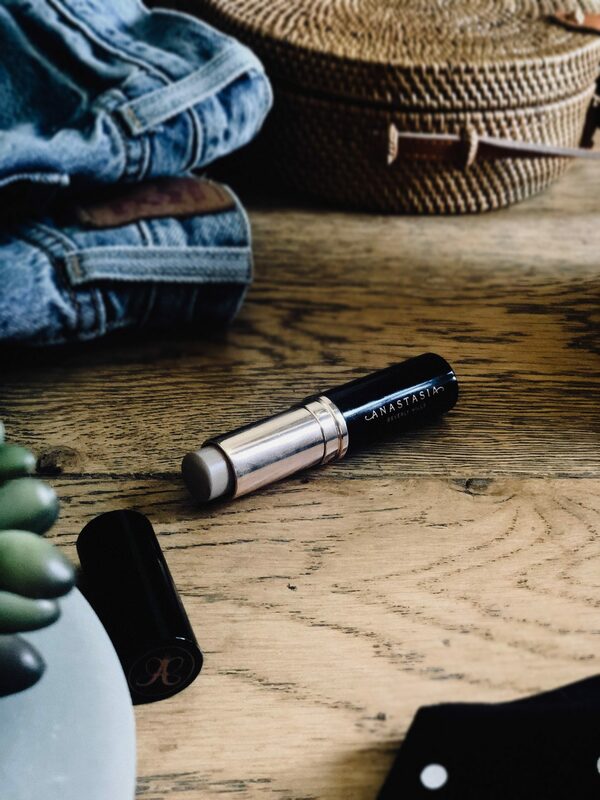 If you’re looking for a good contour stick then look no further, this one is awesome. I’ve wanted a pair of Levi’s for so long (I have loads of their shorts but no jeans!) and I finally found my dream pair. Of course, I had to grab myself a pair of the classic 501s, and I couldn’t not grab a distressed pair. I also got them a couple of sizes up (mine are W30 L30 for reference, which is about 2-3 sizes up on me) so they would be super baggy and have that ‘mom’ jeans look, and also so I can cinch the waist in a lot with a belt. 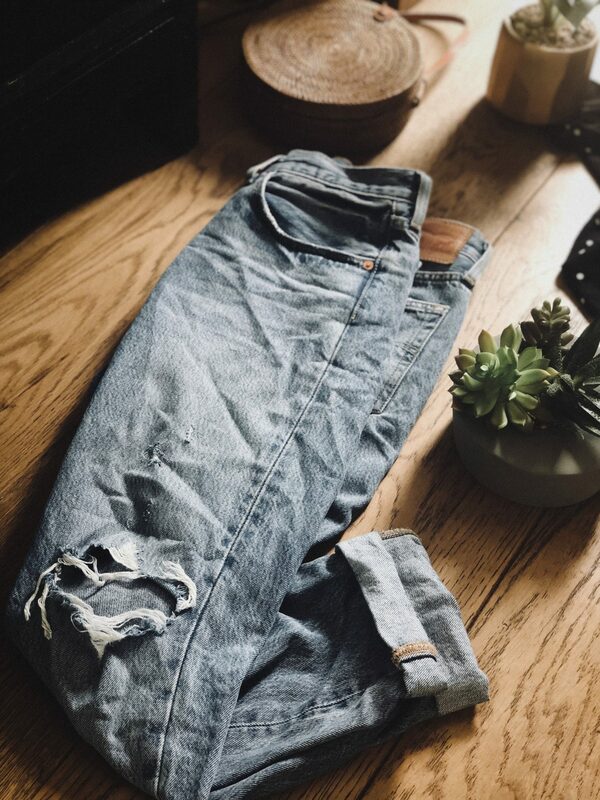 These jeans pretty much go with everything, and I love the laidback, casual vibes they give to any outfit. I wear mine cuffed so they hit just above my ankle, and I love wearing these with my Birkenstocks for a super summery denim look. I’ve been obsessed with wrap tops/playsuits/dresses recently – they just flatter my body type so well. I’m actually planning on doing a post dedicated to wrap pieces, inspired by this blouse! 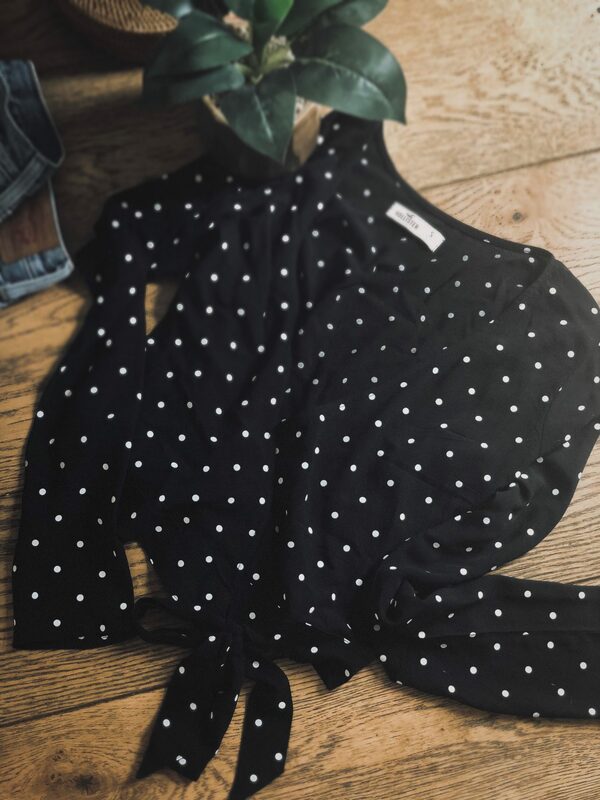 I love the polka dot print and the cropped style, I feel like it’s perfect for summer. I especially love the sleeves, they’re a little tighter and the top of the arm but become a little looser to create a tiny flare. They’re also a little longer on me, which is a look I really love. This is the other product I grabbed with my Beauty Bay gift card, and I love it even more than I thought I would! 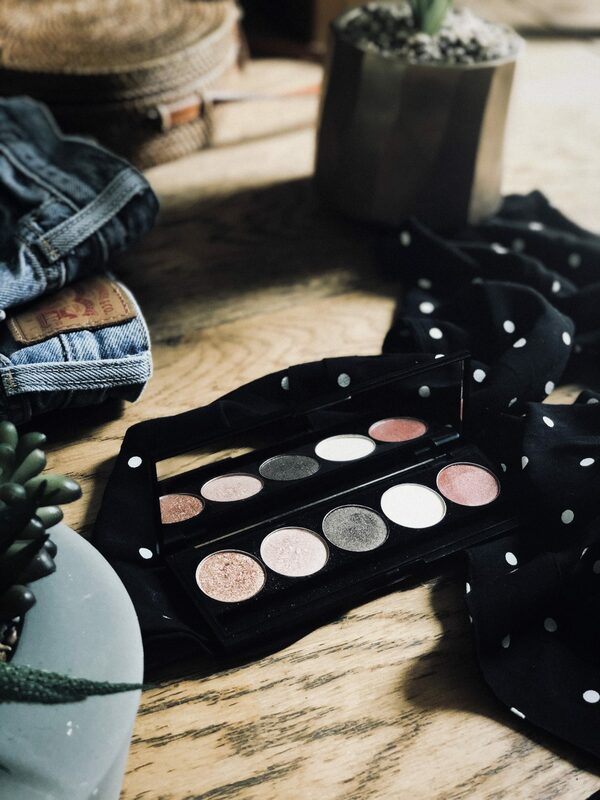 Over the past year I’ve become obsessed with more natural, radiant makeup looks – and this is the perfect eyeshadow palette for that. I’ve actually never tried an Ofra product before but I get now why it’s such a well-loved brand. The formula of these shadows is incredible, they’re so pigmented that they pretty much look exactly the same using a brush as they do with your fingers! I love that these are all shimmers – it’s a great dupe for the BECCA Après Ski Eyelights Palette if you missed out on that. I really like the neutral shade options too – this is definitely the main palette I’m reaching for at the moment. 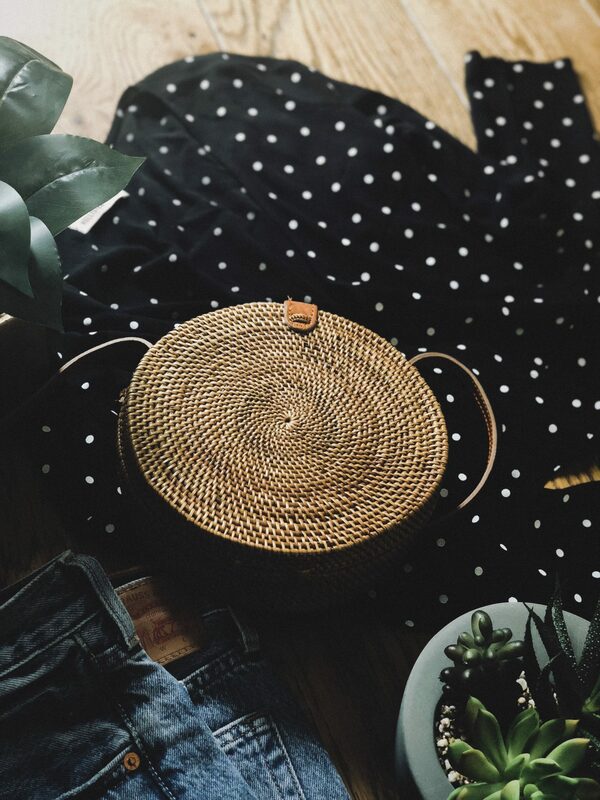 I’ve wanted a Bali rattan bag for the longest time, and although this one isn’t from Bali, it definitely has the right look. Everyone seems to be loving these bags right now, and I’m no exception. I love how summery and boho this bag looks – it works well with any outfit and really makes a statement. I’m pretty sure these are going to be everywhere this summer, but I can guarantee I’ll still be wearing mine way into autumn/winter. I’ve been testing out this face wash for the past couple months and it’s probably the best I’ve tried. I use this with my FOREO after my face halo to get a deep clean, and it really cleanses my skin without drying it out. 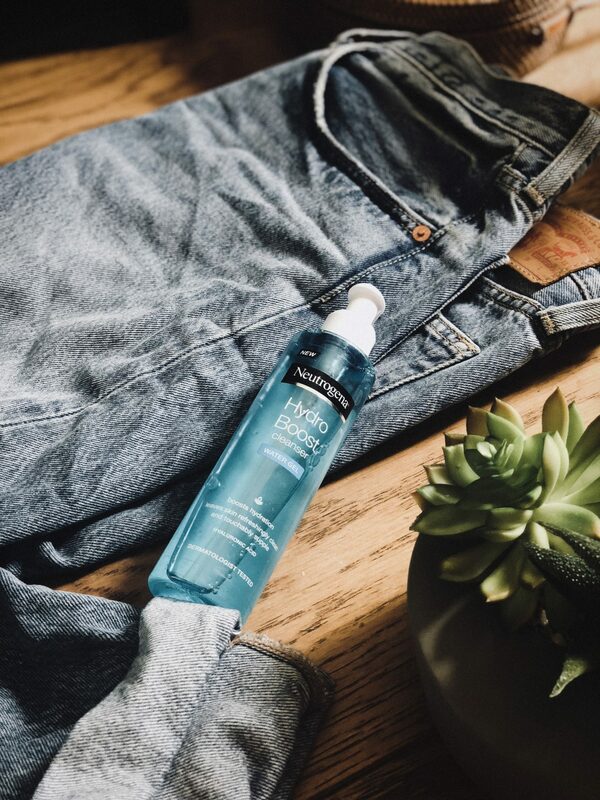 I love that it contains hyaluronic acid to keep my skin hydrated – with most face washes my skin feels dry and tight after using them but this leaves my skin feeling so soft and hydrated! I’m such a huge fan of this that I think I might have to try out more of this range – if you have dry skin then I’d definitely recommend that you check it out! 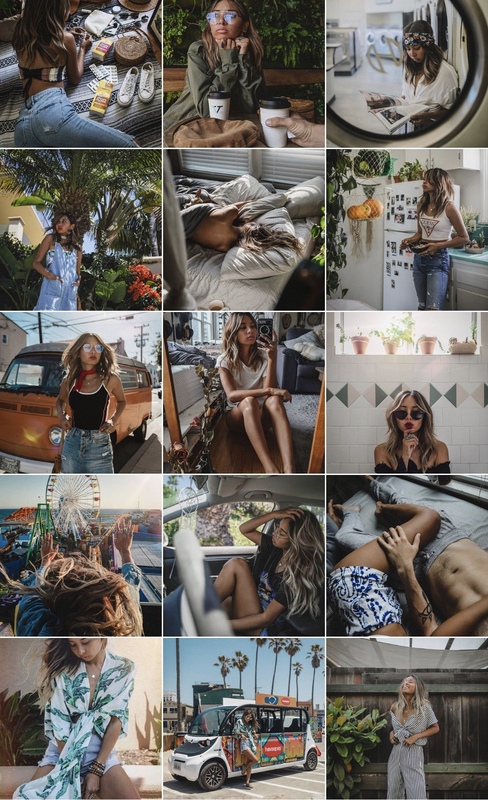 I’ve been following Audrie since the beginning of this year and I absolutely adore her style. You may have noticed that I’ve recently changed up my editing style, and that’s because I’ve been completely inspired by her photography. When I first started blogging I unintentionally fell into the beauty blogger role with bright, white photos – which I although I like, it just doesn’t feel quite me. Since discovering Audrie I feel more encouraged to embrace my boho side and play with shadows in my photography. 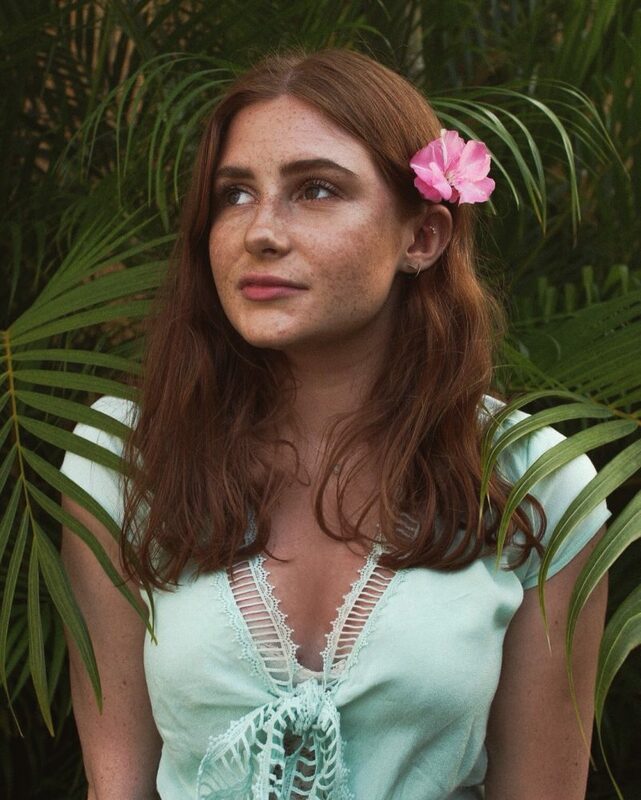 If you’re into boho, travel and the prettiest photos, you should definitely give her a follow!